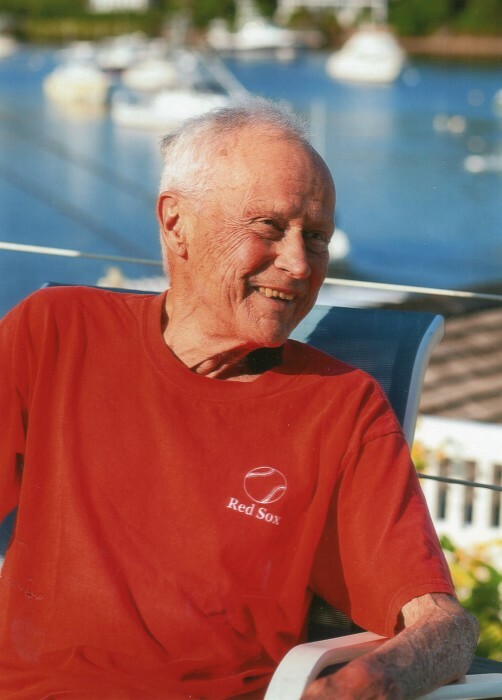 Bancroft Richmond Wheeler -- “Bats” -- of Needham, formerly South Natick, Massachusetts, died on March 21, 2019. He is survived by his wife of 63 years, Mercy Haskell Wheeler, his three daughters, Emily R. Wheeler of Jamaica Plain, Massachusetts, Priscilla (Polly) C. Wheeler of Sacramento, California and her husband, Matthew Ganley and Amy C. Wheeler of Jackson Hole, Wyoming; six grandchildren, Maude, Nell, and Justin Wheeler Baldwin, Sarah Ganley, Charles Rojo, Molly Rojo; and 1 great-grandson, Bancroft Henry Ganley. In addition, Mr. Wheeler leaves the children and grandchildren of his late half-brother George W. Knowlton with whom he shared many family gatherings, and his long-time close friend, Ian Duncan, of Steamboat Springs, Colorado. Mr. Wheeler was born in 1933 in Worcester, Massachusetts, the son of Dr. Bancroft C. Wheeler and Mary Richmond Knowlton Wheeler. He attended Worcester public schools, Fay School, and graduated from Phillips Exeter Academy in 1951. He graduated from Harvard College in 1955 and served for 2 years in the United States Army in the Counter Intelligence Corps. Upon his discharge he attended Harvard Law School and graduated in 1960. Mr. Wheeler practiced law in Boston for over 50 years, first with Gaston, Snow, Motley & Holt, then with Boyd, MacCrellish & Wheeler as a name partner and most recently as of counsel to Nutter, McClennen & Fish. Following his active practice he continued to serve as trustee and executor and participated in the Access to Justice program and as a volunteer with MetroWest5 Legal Services in Framingham. He was active in town affairs both in Needham, where he lived for 18 years, and more recently in South Natick, where he served on the Advisory Board of Broadmoor, the Massachusetts Audubon’s local wildlife sanctuary, and on the board of the Natick Historical Society as well as town meeting and several town committees in each community. An avid tennis and squash player for many years, Bats competed in tournaments all over New England, serving on the board of New England Senior Tennis Foundation for many years. He enjoyed recreational skiing in New England and the West and spent many vacations on the slopes. He was a member of Longwood Cricket Club, and past member of the Union Boat Club, the Union Club and several local tennis clubs. He enjoyed assisting his wife with the planning and implementation of the gardens at their home in South Natick, which were featured from time to time in gardening literature. His affection for trees, books (history and politics), baseball (Red Sox) and dogs ran deep.